"What is continuous reporting? I want to students to do most of the work. What can it look like?" "How is it possible to do e-portfolios with young children without using all my personal time? Can we even do it with the technology we have in this classroom - one iPad and Apple TV?" The idea of continuous reporting is one that has great currency right now. And, it is certainly as idea that is possible given the technology that is available. However, moving to continuous reporting takes time and resources. It is important to examine what resources you have to make continuous reporting possible given your context. 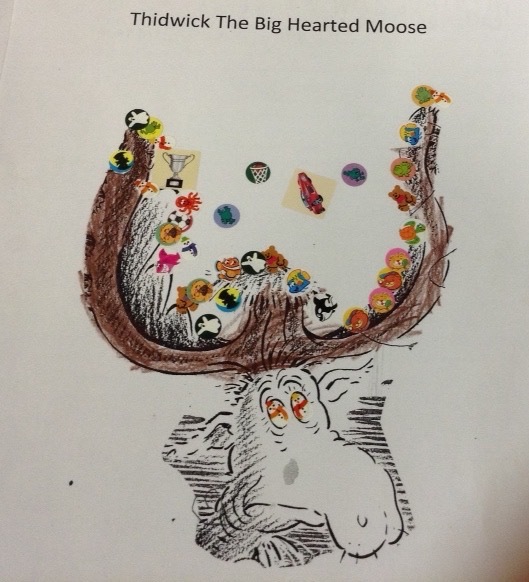 In the example below, I share the conversation I had with Kari Nye, a multi-age 1 and 2 teacher in the Comox Valley School District. 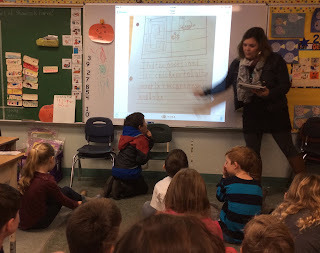 Kari Nye posed the questions above when I visited her multi-age 1-2 grade classroom this week. The context for her work is changing. There are massive curriculum changes underway. 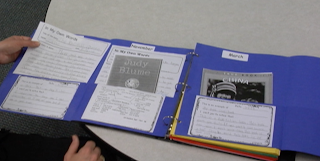 Report cards are also changing but teachers are being asked to explore different possibilities. How did I respond? I began with a question, "It is the fifth week of classes, how are you involving students in the assessment process now?" 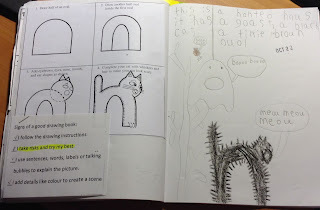 "We are looking at samples of student's work and we are talking about quality work. I show samples using the iPad and Apple TV. 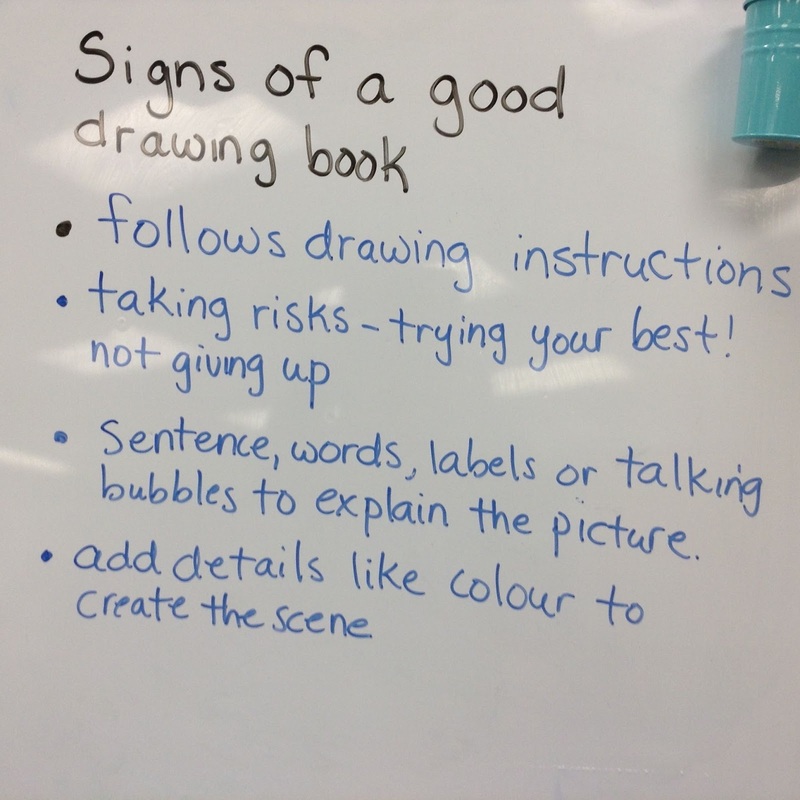 I ask students to share their ideas about what makes it a quality piece of writing. Then I ask them for one or two ideas that could make it a better piece of writing next time. I help students to be very specific. We point to the evidence in the samples. We've been doing this since the beginning of the year." "We have just started to co-construct criteria because the students are pretty good at identifying quality in work samples I show. 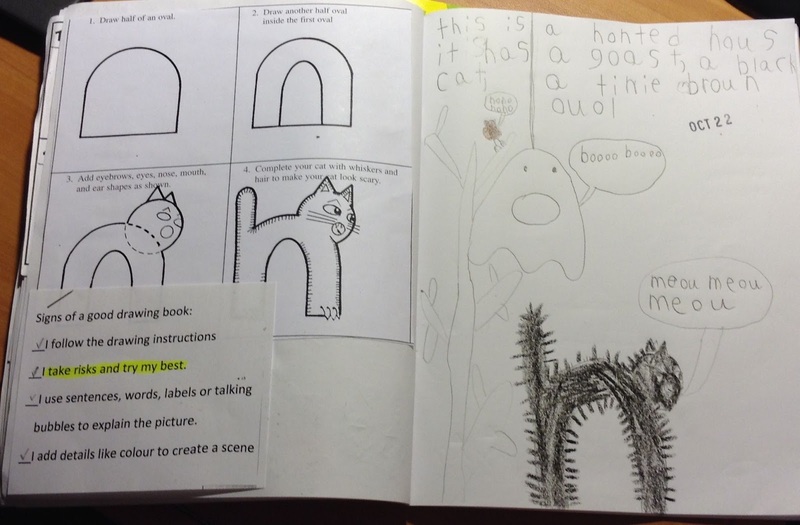 I began by asking them what are the signs of a good drawing book." "After I asked students to choose a piece of work of good quality and put a pink sticky note on it. Then I gave each student 5 sticky 'stars' to place on their work to show evidence of each of the five criterion." "I typed the criteria up (see lower left of sample below). Then I met with each student and they showed me the evidence for each criterion and they set a goal. The goal was highlighted in yellow." 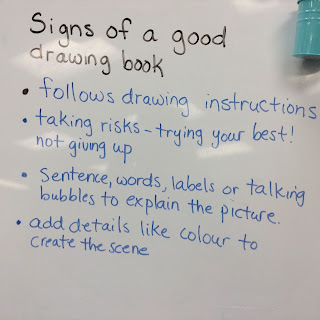 As Kari showed the samples, I thought about how she was preparing students to be engaged in reporting - they were looking at samples of work, talking about quality attributes, developing success criteria, talking about possible 'next step' goals and showing proof of quality. Then I asked, "How are you collecting evidence of learning now?" Kari showed me a collection of large sheets of paper folding into a pocket. Each child had decorated the front of their own pocket. Inside each child had stored some selected pieces of work. Then we had a conversation about reporting requirements and about the reporting process. Kari's students will be part of a student-parent-teacher conference. She wants students to be a large part of the reporting process. We talked about the need to show student learning over time so parents could see the learning. And the need for teachers to be present and involved as they need to both make and be seen to be making an informed professional judgement. By the end of our conversation Kari had tentatively decided to continue having students collect their work into the large pocket folder. 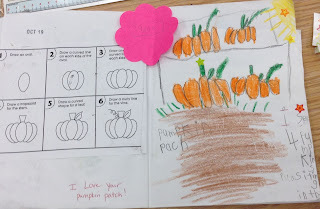 And, in order to help parents and students see progress over time, she planned to have a simple portfolio (see sample in photo below) that would include a beginning samples of reading, writing, numeracy and choices from early in the school year. 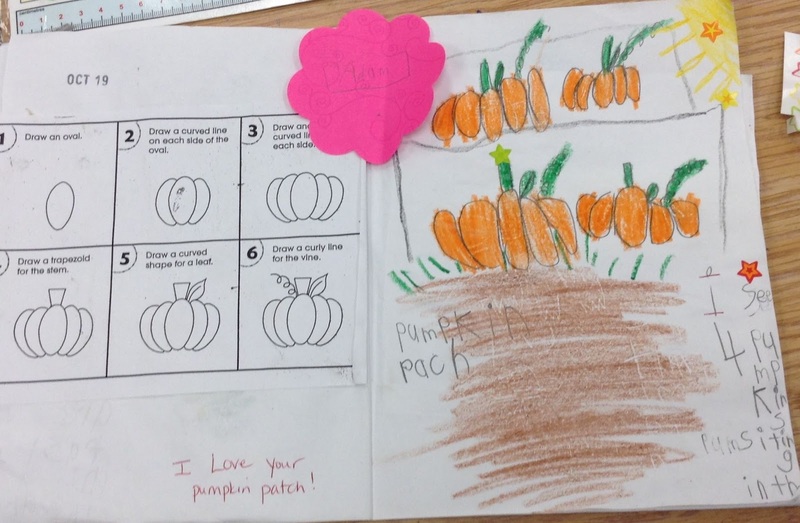 Then, before reporting, students would select another sample from the big pocket folder showing their growth and improvement in each area. They would do a self-assessment using a frame such as, "I used to... and now I...." The four pocket portfolio could be organized by term (e.g. Baseline, November, March) or by the subject areas (e.g. Reading, Writing, Numeracy, Choices). It is a portfolio structure I have written about in Making Classroom Assessment Work. It is simple. It works because it shows the learning progress of each child relative to where he/she started the year. The big pocket folder, the four pocket folder along with a student-parent-teacher conference will be the major communication tool for reporting. 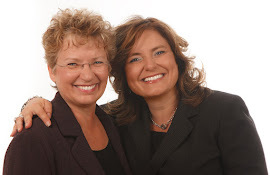 Kari tentatively decided to continue the report card with categories such as exceeding, meeting, approaching and beginning because parents find the 'bottom-line" summary useful. We also talked about using e-PEARL - an excellent portfolio program developed by Concordia University. Kari also decided to NOT use an e-portfolio because, given the lack of technology available in her classroom, she would be the one doing most of the work and students would not have the ownership they need. "Will students learn from this process?" "Will parents learn about their children through this process?" "Is it practical and possible from a teaching perspective?" If the response to all these questions is, "YES!" then move forward with your plans. If the response is, "Not quite..." then it is time to revisit and rethink your continuous reporting plans given the unique needs present in your context. Send us your questions and comments either below this post or via email.